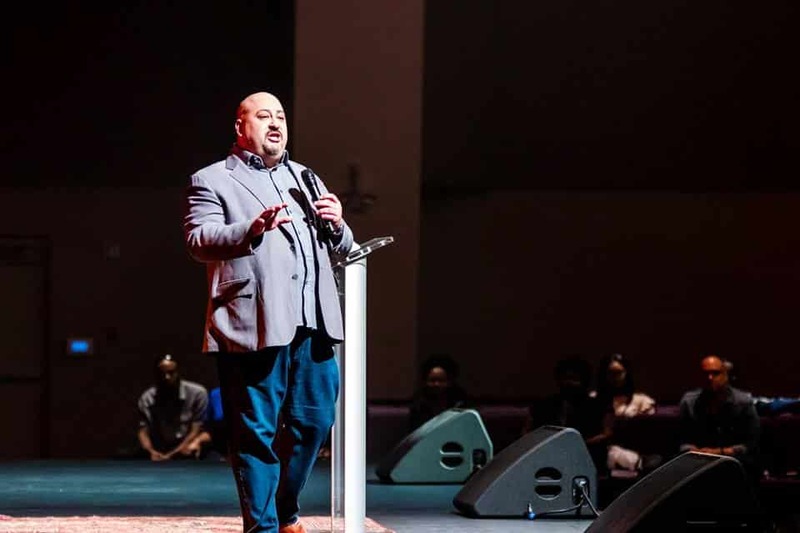 Adam Durso, from New York City, is the Executive Director of LEAD.NYC, a member of the Clergy Council, and on staff at the Christian Cultural Center. Lead.NYC is an organization that focuses on equipping and training NYC-area pastors, marketplace and ministry leaders. They do this through nurturing leaders, uniting congregations and inspiring Christians to integrate faith into every aspect of their daily life. Adam walks us through how God has been moving in NYC through the unity of churches, government, businesses and nonprofits. We know you will be inspired by this conversation, listen or read the show notes below. CAN YOU SHARE ABOUT YOUR BACKGROUND? I grew up in New York City where my father was a pastor at The Brooklyn Tabernacle. When I was 19 years old, God grabbed ahold of me and I dedicated my life to him. I began to believe God was going to save and change the youth in our city. After God revealed this to me, we witnessed our youth group grow from 18 kids to 800 middle and high school students in one year. It was the largest youth group in NYC at the time! The New York Times wanted to find out why there was a club line around the block of a church on a Friday night. What was possibly happening inside the sanctuary? The crime rate was dropping in relation to the amount of young people who were coming to this youth group. It lit a fire inside of me. I recognized, from studying other revivals, one mark of revivals was not just what was happening in the church, but what was being experienced in the community and the surrounding areas. This ministry became my passion . I was a youth pastor for 12 years and served with my dad for a total of 20 years. After serving with my dad, I believed God wanted me to do something else in our city. When the Luis Palau Association (LPA) came to New York, I was Vice Chair on the committee because I saw how God was using LPA to convene churches from different denominations. During the time I was believing God wanted me to step into another role of leadership in the city. Doors began to open as other leaders affirmed that I was a “son of the city.” Since I grew up in New York and always lived here, I was dedicated to this place. I wanted to be a part of churches working with one another. Myself and other pastors wondered what it would look like for me to lead the charge to see nonprofit leaders, Christian marketplace leaders, pastors and the Clergy Advisory Council of the mayor’s office come together to work together towards something unique and great in this city. This has been happening over the last three years and it has been a whirlwind! HOW DID YOU ROLE AS A PASTOR EQUIP YOU TO LEAD COLLABORATIVELY IN THE CITY? At the end of the day, the body of Christ is beautiful and if we can just get past the stuff we don’t agree about, we would realize there is far more that we do agree about that holds us together. If we are willing to go past those things that seem to impede us, we will wind up doing something great for the Kingdom. For 29 years, pastors have been coming together in NYC. It started with Dr. Mac Pier who founded The NYC Leadership Center, which is now Movement.org. 29 years ago, there was a crack epidemic in the city and leaders in the church responded by coming together to pray. Today, we not only see what God has done inside churches, but also how God changed the fabric of the city through this collaboration of prayer. There were people that went years before me that cried to God for this city and I get to live under their sodden tears and reap the joy. What we are seeing in New York City is the fulfillment of years and years of people praying together. HOW DO PASTORS IN THE NEW YORK CITY INTERACT TODAY? We have learned that as relationship and trust equity go up, people have the opportunity to work together. If pastors or leaders jump to work together first, then the minute the thing they are doing ends, the relationship stops. However, if pastors build on relationships that had already been established, this leads them to do ministry in their community as an overflow of what God continues doing in their hearts and relationships. I get to reap from this! To see pastors actually willing to spend time together and believe God to do something collectively, is huge and spreading like wildfire here in New York City. When a leader doesn’t have anywhere to be vulnerable they implode. We are creating a place for them to be vulnerable. For the past several years, we have hosted an annual “30 for 30” pastors’ retreat. The idea was taken from ESPN’s “30 for 30” concept. The way it works is we invite 30 of the most influential pastors in New York to get away for 30 consecutive hours. We just go spend time together and bless them and love on them the way they deserved to be treated. We have three rules: (1) you can’t arrive late, (2) you can’t leave early, and (3) you can’t send someone in your place. Pastors have to show up! These pastors represent 250,000 congregants across the city! You cannot get that many people in a room, but if you get 35 of their pastors together developing relationships, I believe you can really move the needle on some stuff. One pastor told us that “30 for 30” created a space for them to gather for more time than they had spent together in the last several decades. That is powerful. After being a pastor, I realized there were few places that pastors from large churches could get together. We know that even if pastors are from different denominations or have different constituencies, they have similar problems. In New York City, we saw that when pastors did come away together the response in relationships was tremendous. Pulpit swaps occurred and the ability to be able to do more things happened afterwards. WHAT ADVICE DO YOU HAVE TO ENCOURAGE PASTORS OF BIG CHURCHES TO LINK ARMS WITH OTHER CHURCHES? Everything comes down to relationships. Don’t lead in with an ask, lead in with relationships. I have found with pastors that no matter how big their budget or congregation is, God opens doors with relationships. My friend, Pastor A.R. Bernard says, “relationships are the network for life.” Thus, my job is to steward my talent, my resources, and my time. I am to steward my relationships, so when an opportunity comes along, pastors respond with willingness because they have seen my willingness to come to the table and build relationships with them before asking for anything. They are able to witness that I am for the city and then the trust we have allows me to ask them to be a part of something bigger. One thing I have learned, is that when you ask from them, make sure the ask is not too small. These pastors want to be involved in something bigger than what any one church can pull off on its own. It also must be well-thought out and when they have a question, we must have strong response for them. When you can leverage great relationships and vision, and invite pastors and city leaders to strategize together, I have seen willing responses occur over and over. What is the Newest INITIATIVE YOU ARE PURSUING IN NEW YORK City? In 2017, I had the opportunity to lead Movement Day NYC. We realized we weren’t drawing in New Yorkers even though it was in their city. The gathering did not feel like New York. We wanted them at the table so we ensured Movement Day NYC was by New Yorkers and for New Yorkers. In 2017, we saw 4x more New Yorkers which meant 85% of people in the room were from New York. However, just having more people from the city in the room didn’t mean we had more influence in the city. If we were going to really move the needle on Kingdom objectives across our city, we needed a different approach. We want to know what it looks like to rally the body of Christ to make a difference in these four areas in measurable ways. How can we work together to create a shared language, agenda and metric system? In the church, we have not been good in shared metrics because we share metrics in stories. The government and business leaders share based on data from their metrics. In partnership with the Cinnamon Network we will create a system to measure progress across these four areas. During Movement Day, we had everyone in the room center their discuss on these areas. Over the next 5 years, we are going to launch two new zip codes each year and track the previous zip codes around this auditing system. Within the zip codes there are already churches and nonprofits working together, but we want to come behind them and support them to tell the story differently–with metrics. We have the opportunity through mentorship to really change the trajectory on the drop out rate. We realize that every zip code will be different, but we want to be able to track the effects of collaboration. We want to show that we moved the needle by these amounts through the gospel of Jesus Christ. 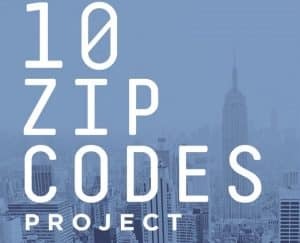 Learn more about the 10 Zip Codes Project. WHAT DO YOUR EFFORTS AROUND EVANGELISM LOOK LIKE? Recently we hired a new position on our team to focus on evangelism. Oftentimes in our attempt to go outside the four walls of the church, we leave behind the gospel in the process. I am not looking to just be another social institution. I do want our impact to be social justice related and for people to measure the impact of the gospel in lives changed outside our buildings. But I want all progress to be clearly identified as a result of the gospel of Jesus Christ. We have the opportunity to share the gospel and I don’t want to bypass that. Everything else is great work, but we want to make sure the proclamation of gospel is front and center of what we are doing. Adam Durso is the Executive Director of LEAD.NYC, a member of the Clergy Council, and on staff at the Christian Cultural Center. Adam is one of the city leaders I’ve grown to respect the most! He lives and breathes love for the Church in NYC, and works (very creatively) to foster unity among senior pastors. I’m eager to see how they continue to progress! Check out this article I found at City Gospel Movement's website https://citygospelmovements.org/resource/adam/.